The DropShipper module provides unbiased advantages to both the buyers and sellers. Shoppers can enjoy many deals, special discounts and save ample time. Retailers are provided with the facility to calculate the shipping charges based on the product weight, cost, quantity, and delivery location. There is also a feature to generate tracking id for each order that allows tracking of the shipping which helps customers to keep updated. Apart from this, there are much more essential features that make for smooth and on time deliveries. The Dropshipper module lets your vendor/supplier to view their orders, generate a tracking ID, and edit the shipping status through his own login. It streamlines the supply-chain logistics, communications and eliminates errors and delays associated with manual or semi-manual processes. 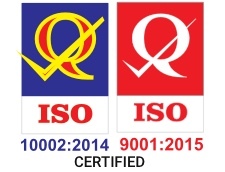 Enjoy cost savings through robust supply chain automation! The Dropshipper module allows retailers to derive advanced methodologies in the shipping cost calculation. 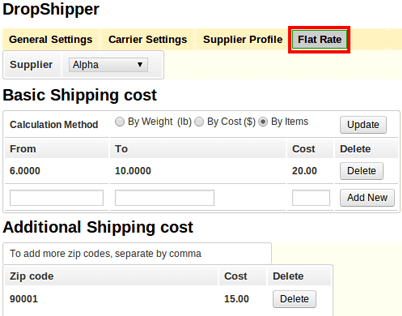 Assign shipping cost based on the weight, cost, quantity and zip code. 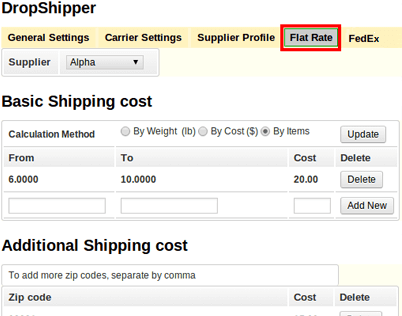 The module is designed to automatically calculate additional shipping rates based on your selection. Make a smarter shipping cost calculation to boost your eCommerce marketplace operations. 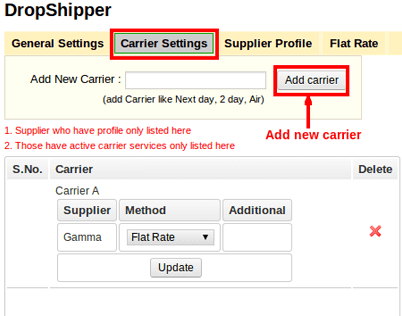 Configure your existing shipping carriers and also create your own shipping carrier. Get smarter about shipping and watch your return on investment soar. Forget about the hassles of multiple vendors per order! 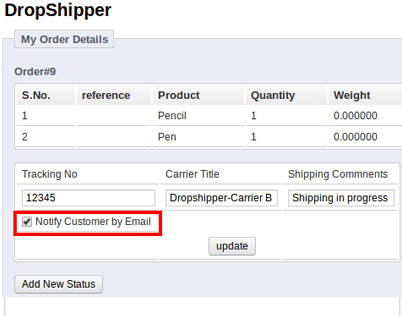 DropShipper Module splits down your customer’s order into items based on the respective vendors. It also segregates the ordered items based on the suppliers and their shipping carriers.The split can be seen in the invoice sent to the customer. The module facilitates reporting for both the retailer and the vendor. 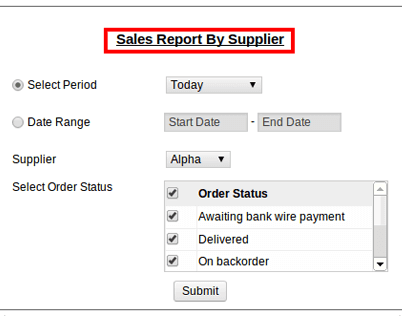 Admin can retrieve the reports that are categorized based on the suppliers and the for an order status within a defined date range. 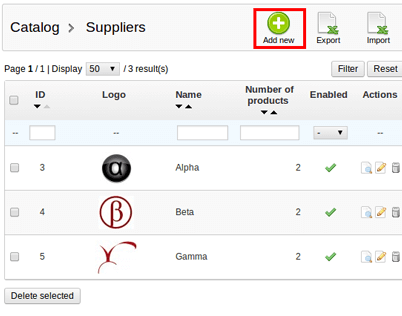 Suppliers can log-in with their credentials and import reports based on time duration or customers. Assign more than one possible shipping carrier to each vendor, to get the best possible route for your customer. A supplier can be mapped with any number of carriers. Thus giving more shipping delivery options for the customer to choose up on. 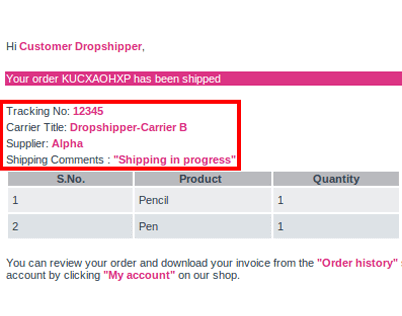 The Dropshipper Module allows you to send automated emails to both customers and suppliers after the order placement. Once the order is placed successfully by the customer, an email will be sent to both the customer and the suppliers associated with the order. Configure your shipping carrier with the assigned credentials. If a shipping carrier is created, its details can be configured with your login name and password. Other configuration details include API Key, Pick up type, Package Type, and delivery service, etc. The module has USPS, Canada Post, AU Post and FedEx integrated.